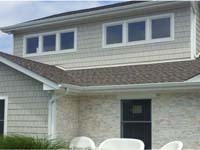 Good Guys Contracting is proud to say we are a preferred Long Island James Hardie contractor. Not familiar with James Hardie? James Hardie is one of the leading brands of exterior siding including shingles, lap siding, vertical siding, planks, and boards. 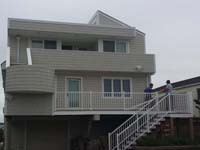 We are the leading experts in installing James Hardie products on Long Island. 1. 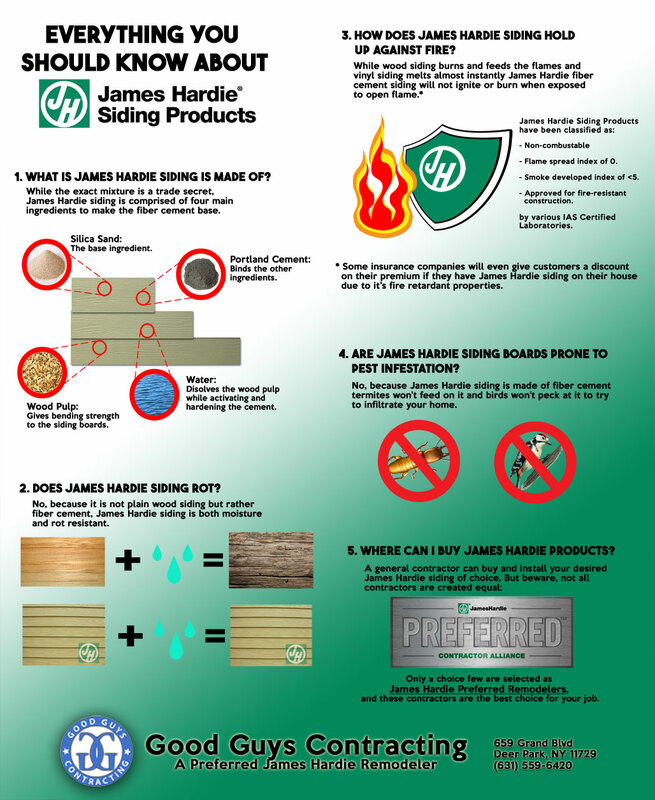 HardiePlank® Lap Siding – Hardie Plank lap siding is James Hardie’s best selling product. It’s also the most popular brand of siding in America! It comes in a variety of colors to match any exterior décor! 2. 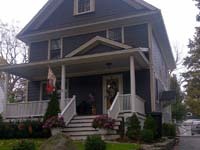 HardieShingle® Siding – Hardie Shingles are known for their timeless and classic “Cape Cod” style. Whether you want them half round, staggered or straight edged, James Hardie Shingles will add character and charm to your house. 3. HardiePanel® Vertical Siding – If you are looking for a more contemporary look then Hardie Vertical Siding might be the right choice for you. 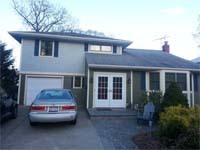 It will give your exterior a clean and crisp look. 4. HardieTrim® Boards – Hardie Trim Boards are what ties the entire exterior of your home together because it’s perfect complement to your James Hardie siding. Both are known for their high quality and durability. 5. HardieSoffit® Pre-Cut Panels – For those who don’t know, Soffits are key to construction. They are what protects your roof and siding from the elements. They come in all the James Hardie colors and will match your aesthetic. 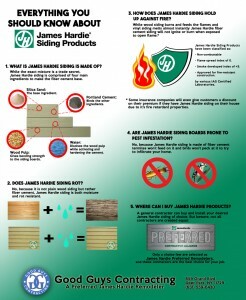 Learn More About James Hardie Colors Here! In May of 2013, James Hardie lap siding received the Good Housekeeping Seal from the Good Housekeeping Research Institute. When a team of scientists, engineers, and researchers give their seal of approval you know you are getting high-quality products. Being a Preferred James Hardie partner is not something that Good Guys Contracting takes lightly. When you are looking to redo the outside of your home, it’s important to make sure that you hire a company that has a good reputation. We are part of the Better Business Bureau and are licensed by the Suffolk, Nassau and NYC Office of Consumer Affairs. We are in the Hardie Alliance, which means all of our employees are certified to install James Hardie products. Click any of the links below to view some of the amazing results our satisfied customers have seen when choosing James Hardie fiber cement siding! 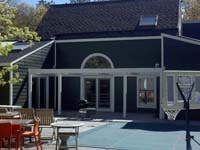 Contact us for a FREE estimate on your home exterior project or any questions you may have on Long Island James Hardie installation.